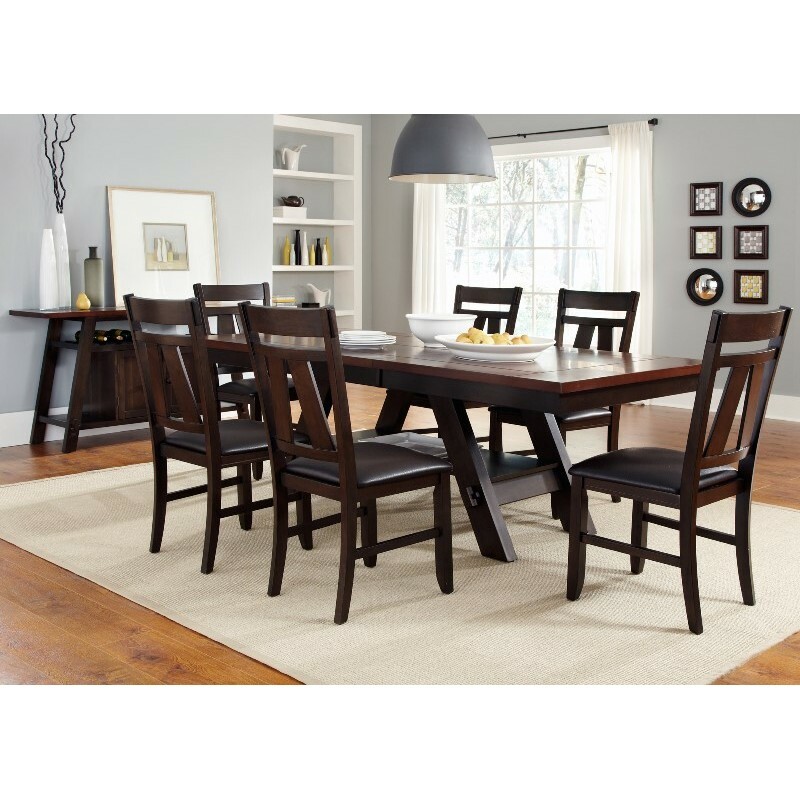 The Lawson Seven Piece Dining set features a pedestal table with six split back chairs. This set is sure to be a favorite gathering place for family and friends. The set if finished in a dark espresso. The table includes one 18" butterfly leaf.